Due to high demands, Eiko is releasing our hugely popular “Tombo” line as an 8mm stitched orizashi set named “Murasaki Tombo”! 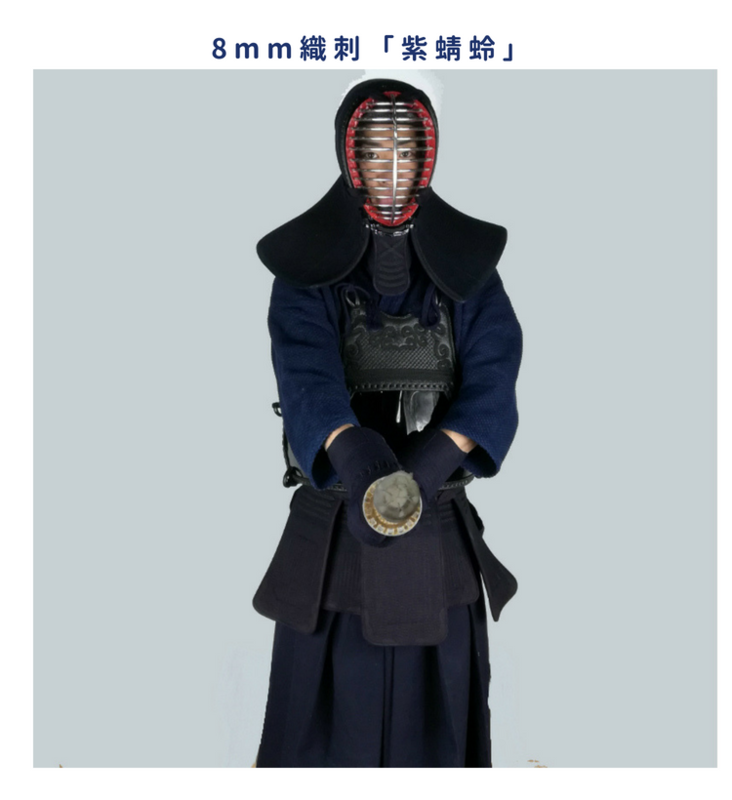 We have received much positive feedback so far, with most of our customers saying that they bought a set based on seeing other kenshi wearing it and that they themselves would recommend “Murasaki Tombo” to friends and family. To take our Tombo line a set further, we’ve added an extra aesthetic touch. A dash of silver-white kazari ito can be seen running across the do-mune, adding extra impact while staying dignified and refined. 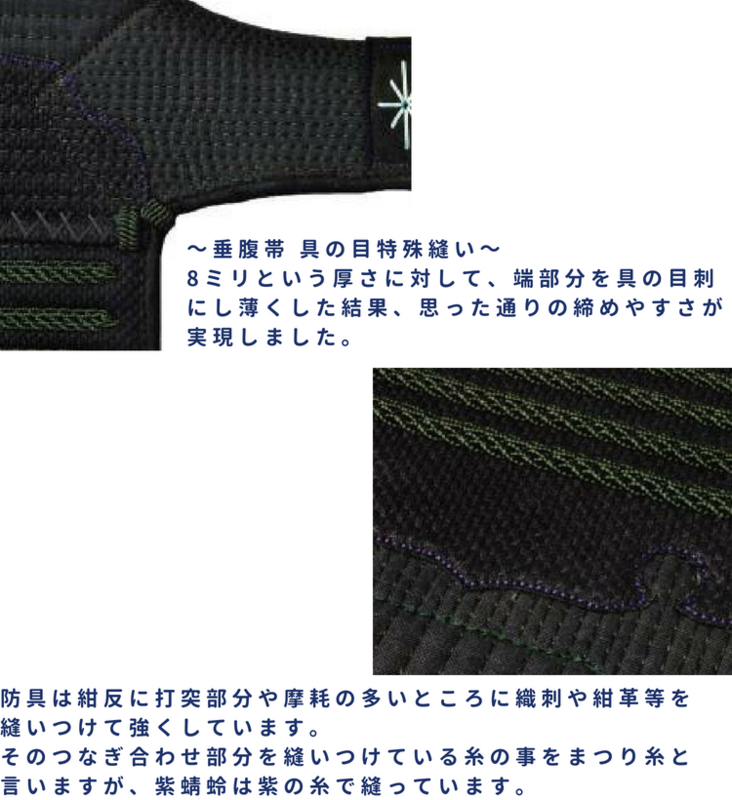 As a rule of thumb, the more narrow the stitchings are the harder and thinner the bogu will feel. 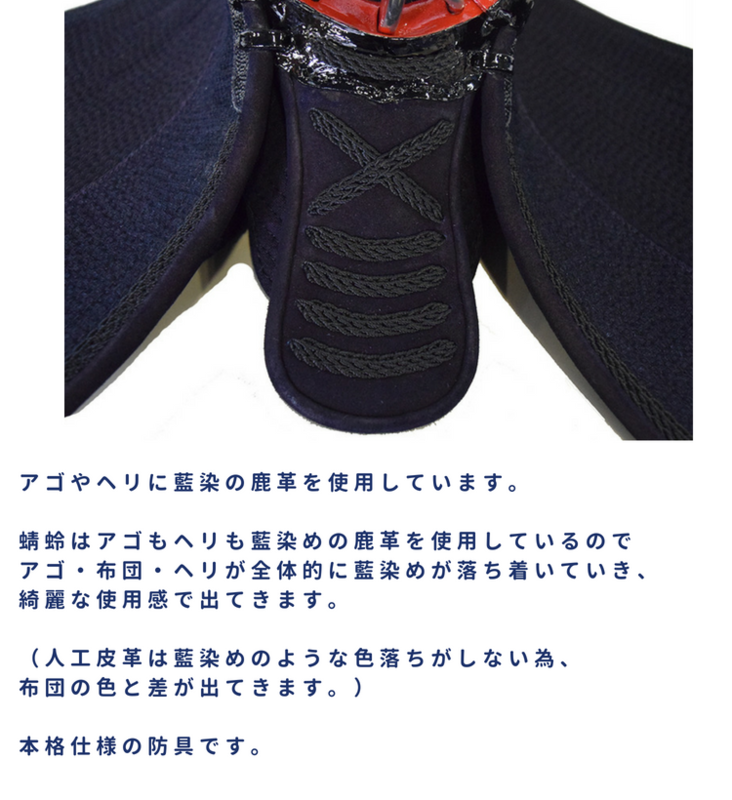 The secret to this bogu's superior flexibility and shock absorption lies within its 8mm stitchings. The extra padding offered by this set makes it a good beginner-friendly choice. 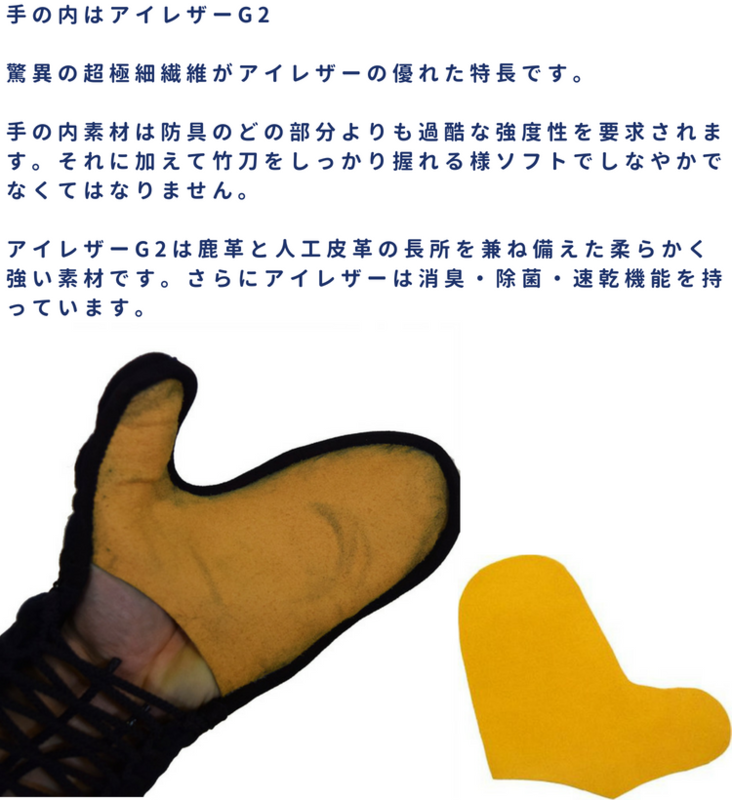 Both the tsukidare and heri are made with aizome dyed genuine deer leather. This means that over time, the tsukidare, heri, and menbuton will transform into a beautiful faded blue (synthetic aizome does note fade in the same way). Orizashi kote has the added advantage of being quick-drying and breathable; however, the downside is that protection is somewhat compromised. In response, we've reinforced selected areas of the kote with extra cow leather. 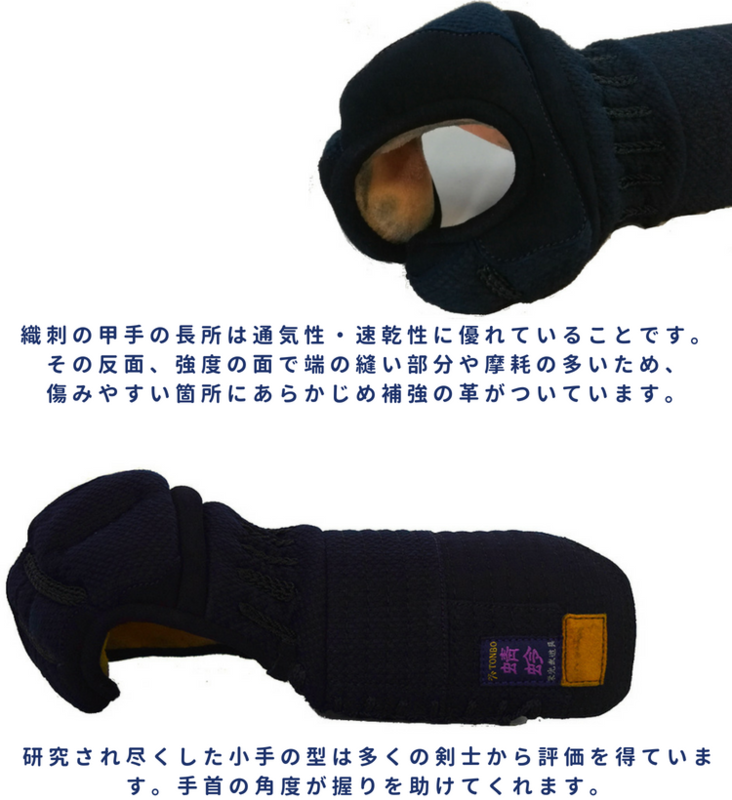 Many kenshi have praised the design of our kote, our ergonomic grip aiding design is especially well received. 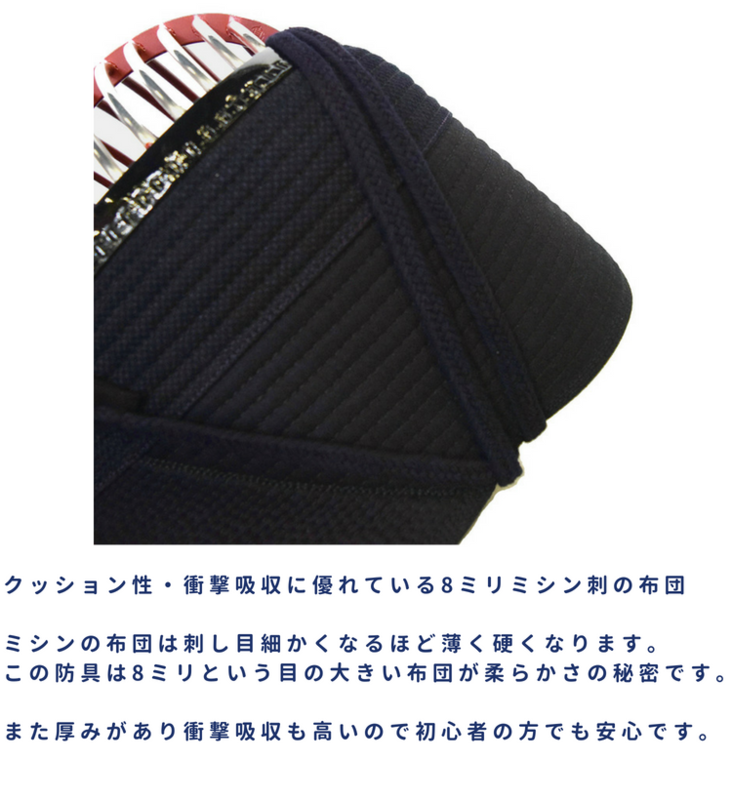 In order to decrease the "thick" feel of an 8mm stitched tare, gunome zashi stitching is utilized in certain areas keeping this tare feeling light and flexible. Overall, we have utilized dyed cow leather and orizashi to reinforce areas that are subject to impact or friction. The string that holds these reinforced parts together are known as matsuri ito. In "Murasaki Tombo's" case, we've decided to use purple matsuri ito for an added pop.